Your customers aren't all the same. Yes, they have a lot in common. For one thing, they find your products and services useful. They may share a great deal in terms of demographics or geographic location. But their buying habits are different, they shop for different items from your catalog, and they have different expectations. When you offer a personalized website, you show your customers that you're prepared to meet their specific needs. Over recent years, consumers have come to expect a highly personalized experience in every area of their digital lives. Amazon offers them the specific products they want before they even ask. Siri answers their questions effortlessly..
Offering a personalized response to your customers has become the new standard in eCommerce. If you're still operating with a "One size fits all" approach, you're failing to meet their expectations. And the only people who will be happy with that are your competitors. Fortunately, website personalization is increasingly sophisticated and straightforward. Let's look at some of the strongest benefits of website personalization. When your website presents personalized content, customers related to it better, spend more time on it, and return to it again. In fact, 74% of your visitors are likely to be frustrated if you present them with content that doesn't appeal to their needs and interests (HubSpot). Frustration leads to annoyance, which leads to clicking away to your competitors. On the other hand, consumers respond with genuine interest when they're presented with targeted content. In fact, targeted calls to action prompt a 42% higher response rate (HubSpot), and a remarkable 78% of customers choose to engage with brands who previously offered them personalized content (Marketo). 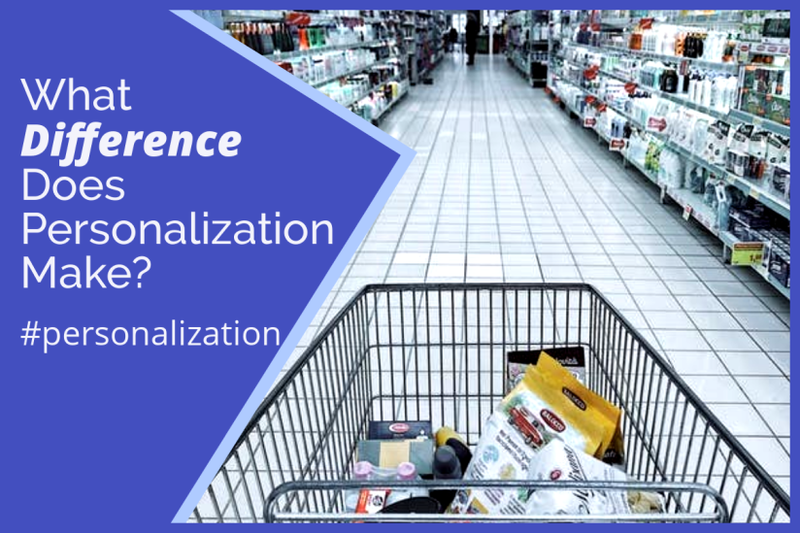 This appears to be in part because personalized content helps consumers feel that they're in charge of their shopping experience. It gives them a sense of control over their choices. Customers buy things that meet their needs — and when you employ website personalization, you make it much more likely that your visitors will find things that meet their needs on your site. As consumers move down the funnel and see a website that speaks to them directly at every stage of their journey, they develop trust in your brand. No wonder companies that nurture leads by targeting content toward them increase their conversion rates. Personalized websites result in sale conversion increases of 19% (HubSpot), and 40% of buyers tend to buy more when dealing with a customized website (MyBuys). Customers like to be listened to. When your customers feel you understand them, they trust you to meet their needs. Website personalization makes it clear that you care about your customers. It helps turn them not only into loyal repeat customers but into passionate advocates for your brand — which in turn, introduces your brand to new leads. At Polished Geek, we know how to make your website sing a different song to each of your customers, building that stronger sense of loyalty to your brand. We'd love to talk with you about how dynamic website personalization could help your business grow.